Celebrity master suite, high ceilings, ultra modern plush furnishing, pool table and electronic dart board, Wi-Fi throughout, TV in all bedrooms with cable, lakeside short walk to pool and amenities,huge pool, beautiful jacuzzi, adjacent to convention center, only minutes from Seaworld, Universal, Disney World and all major attractions, less than 2 minutes to international drive. Perfect location for your perfect vacation. I accept all serious reasonable offers. Very spacious 2001 sq feet condo with high ceiling and balcony. 5 minutes from Disney World, 2 minutes from Universal Studios and Sea World. You can see Universal Studios fireworks from the terrace. Washer/Drier in the unit. All 3 bedrooms have queen size beds with pillow top mattresses and TV. 55" brnd new TV in living room. Wifi internet, pool table, very comfortable couch in living room with 4 recliners. Check in is all electronic. The condo is right behind the convention center, one of the best locations. 2 minute lakeside walk to the pool and amenities. Parking in front of condo. Wheelchair accessible. Great vaca at Vista Cay..
Frank and Sophie were so easy to work with and very prompt in getting back to you with any questions.Unit is huge and very comfortable.Great location and Vista Cay is very well kept and clean.Easy location to Parks.Having a full size washer/dryer was a deal breaker.Thank you and I highly recommend. I love the condo @ Vista Cay, very species, very clean, nice comfortable updated furniture. Didn't have time to use the facility, but our guest inquired about the condo. And they would love to return with there family & stay there. The location was good, in the middle of everything. Arrival instructions were good. Just didn't realize there was so many tolls, but that didn't have anything to do with the property, beatiful. The Perfect Launching Pad for Your Orlando Vacation! Fully equipped with washer/dryer, dishwasher, microwave, huge refrigerator, etc. This three bedroom place is huge, with living room, dining room, and nice balcony. Tastefully decorated, impeccably clean. Super fast WiFi. 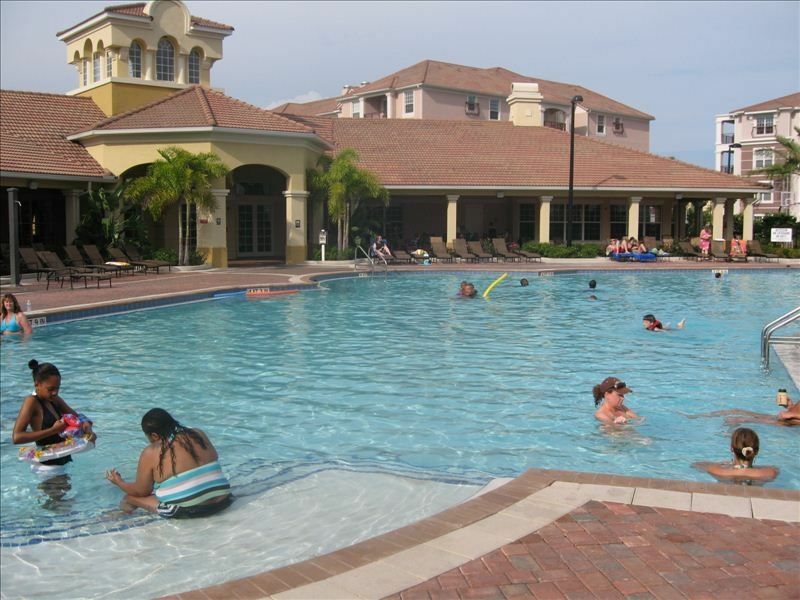 Just minutes away from DisneyWorld, Universal, Seaworld, etc. In a gated community, club house has a workout room and a huge pool. We stayed here during Irma and felt lie in a cocoon. Franks is easy to work with. initially when checking in the condo , the unit was not cleaned from the previous renter. after a call and email to the owner he send his cleaning crew over. It was nice gesture that the owner offered a nice meal as compensation, but i was not really interested in that. the cleaning crew did an excellent job and kept apologizing for the inconvenience. After the cleaning crew left i did a quick walk through and noticed immediately that the carpet in the living room had a lot of stains and looked really dirty, but the bigger issue was the smell in the condo, i am not sure what caused it, either the dried flowers or some sort of air freshener but it was so strong that i had outside doors open the entire stay to make it bearable. The furniture is pretty dated, toilet seats issues in the master, just little things that makes the place look dated and run down. Location is excellent, but for the money @ twoohundered plus a night you may want check out the other condo in that same complex. I visited friends that stayed in another unit and looked and smelled a lot better. there is a nice pool table in the unit, but guess what, no free games, you actually have put in 4 quarters every time in order to play.....overall the price-quality performance is not there. Furniture, TV, carpet all brand new. Arrived early for check in graciously allowed to leave belongings while cleaning crew finished. Baffled as to why this guest felt it necessary to write such a false review? ?